FoxNews.com: Most kids are lucky to get a Capri Sun tucked into the lunchbox as a midday treat. But one father goes above and beyond to ensure that his kids are packing the absolute coolest munchies at mealtime. 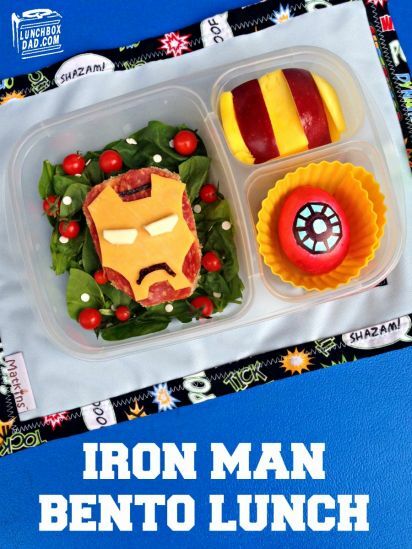 Beau Coffron, aka LunchboxDad, creates edible works out of everyday lunch meat, vegetables and fruits for his children’s lunches. 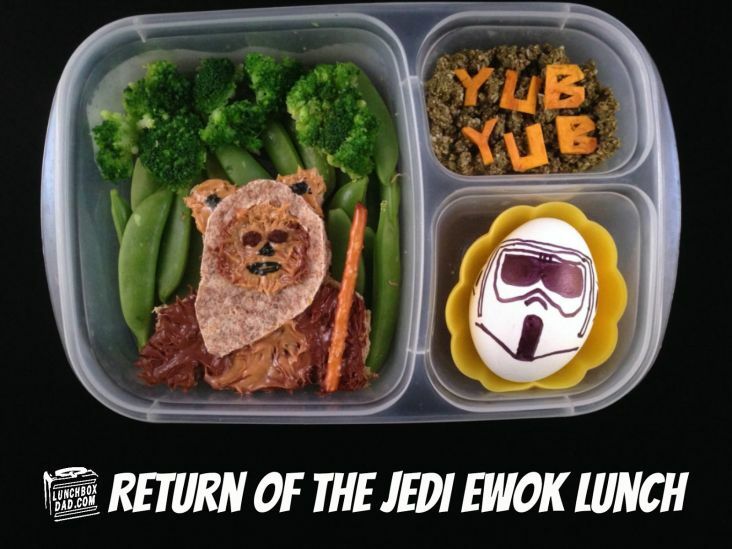 He’s been running his site since 2012 and it’s grown into a favorite blog of parents looking for inventive kid-friendly recipes, parenting product reviews and of course, pictures of his amazing lunch art. The idea came from a simple thought that most parents often feel. “I was looking for a way to connect with my daughter when she was starting kindergarten. I wanted to show her that I was thinking about her while she was gone at school,” Coffron told FoxNews.com. Soon after, Coffron started posting his recipes as an inspiration to other parents and he says the extra attention has brought him closer to his daughter. If you’re looking to spark a little creativity at mealtime—even when you’re not sitting down with your kids—read on for Lunchbox Dad’s advice, tips on tricks on putting together a meal that goes way beyond food on a plate. FoxNews.com: How long does it take you to put one of these together? Beau Coffron: It depends on the lunch, but it usually takes about 30 minutes to make. The most time consuming thing is figuring out what ingredients to use. The actual assembly of the lunch doesn't take much time at all. This is one of the reasons why I post all the ingredients on the website. Hopefully I can save other parents some valuable time. FoxNews.com: Are there any special utensils you use to cut up food? Beau Coffron: I use cookie cutters and a sharp knife for most things. Sometimes I also use vegetable cutters which are like cookie cutters but much smaller. FoxNews.com: How do you figure out what lunch items go together? Beau Coffron:When it comes to what items go together I usually pick foods that my daughter enjoys or that I want her to try. The temptation is to use foods because they look good in the lunch but I always take her tastebuds into account. It doesn't matter if the lunch is fun or healthy, if your child doesn't eat any of it. Try and pick a good mixture of foods that your kids already enjoy along with stuff that can be a healthy thing to try. I am always experimenting, so if one food fails in the lunch, don't be afraid to try something different. Kids' tastebuds are always changing so what works one week might not work the next. Any advice for parents trying to make lunch more fun? Beau Coffron: Start with a good reusable lunchbox. I have reviews of them on my blog. When you use a bento style lunchbox it is easier to see portion size and whether or not you are getting a good variety of foods in there. 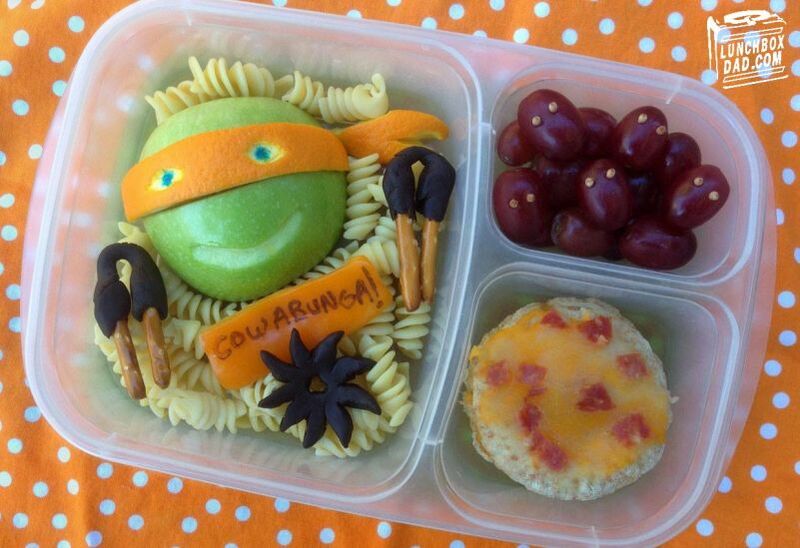 Attempt to get your kids to at least try fruits, vegetables, and whole grains in their lunches. If it helps to make them into fun shapes, then spend a couple extra minutes doing that. The payoff is worth it. You can also start by using regular cookie cutters you already have in your house. They work great on sandwiches. Beau Coffron: My favorite is probably Chewbacca. The ‘Despicable Me’ Minion lunch is one of the most popular on my blog. My daughter's favorite changes depending by the day! FoxNews.com: Is it important to emphasize healthy eating at school? Beau Coffron: Besides their overall health, it's hard for kids to focus if they are all hyped up on sugar and junk food at school. It also not only affects your own kids but it affects the kids around them too. My daughter's kindergarten teacher really stressed this two years ago. It was harder to come up with creative lunches when I wasn't using a bunch of junk food but it has paid off in the long run.